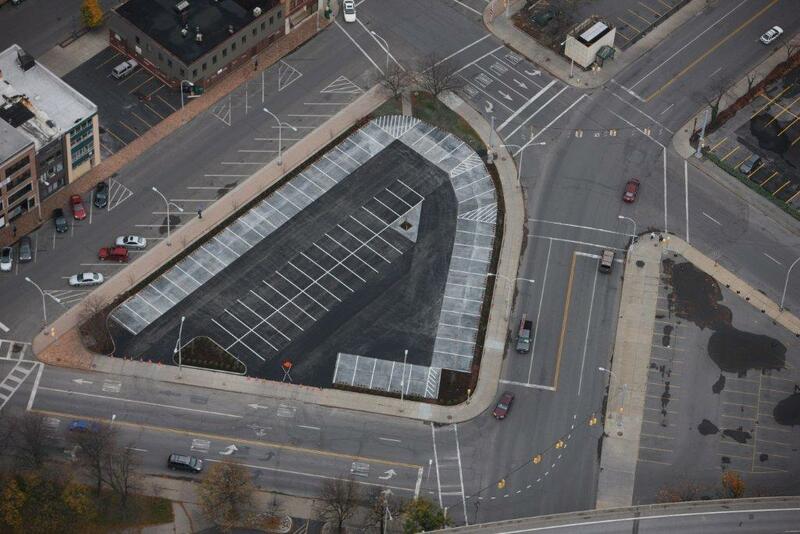 The County completed renovations to City Lot #3 (located at the intersection of Erie Boulevard and North Warren Street). The project included regarding and resurfacing of the lot with a porous concrete application to the parking lanes and an infiltration bed with 9,000 feet of underground storage. The project also included the planting of 26 trees with full-tree box trenches and structural soil. City Lot #3 also included landscaping features along the perimeter of the property. The project is estimated to capture 880,000 gallons of rainfall annually.